They say that professional wrestling is 'fake' and 'predetermined'. But the bruises and bumps one suffers within the ring are quite real indeed. John Bradshaw Layfield AKA JBL was a guest on the Prime Time With Sean Mooney podcast not long ago. I'd like to thank WrestleZone and Michael McClead for the transcript. JBL was a member of the APA with Ron Simmons and then went on to have quite a career on his own too. 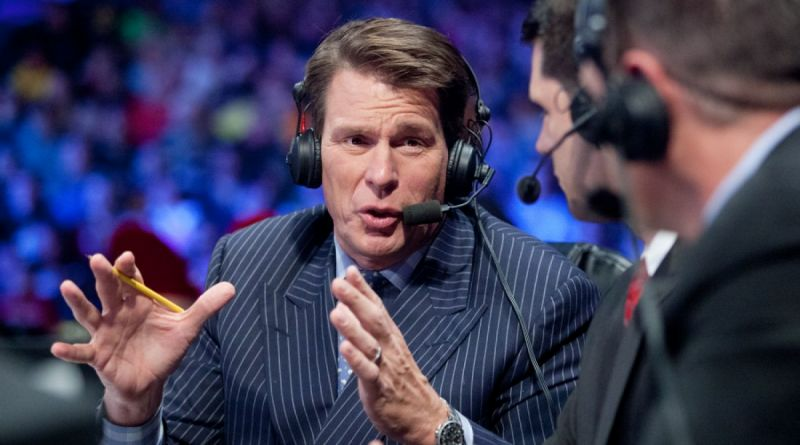 Following his retirement from the ring, JBL would become a colour commentator. He was most recently seen on Tribute To The Troops. I had a chance to catch up with him during his Mumbai visit last year and even had a chance to interview him. It is clear that while he is not in the company anymore, he still keeps up with the product to this day. I should be a poster child for CTE. I have no idea what is going to happen. When I first retired, I had short-term memory loss and I started reading about neuroplasticity in the brain, about how the brain can regenerate itself and I don’t know if it can or not. I do all kinds of stuff. I do a mind game every day. I play chess, sudoku. I learn something different, a language, a few words of a different language. I learn something to always stretch the brain and my memory came back completely. Right now it appears to be as normal – if I can be called normal – but as normal as I know I am. Right now, I don’t have any effects. JBL should be part of WWE for their special events. This includes events like Tribute to the Troops and even WrestleMania. He is also an integral part of WWE Kickoff Panels. What's your favourite JBL match? Let us know in the comments.